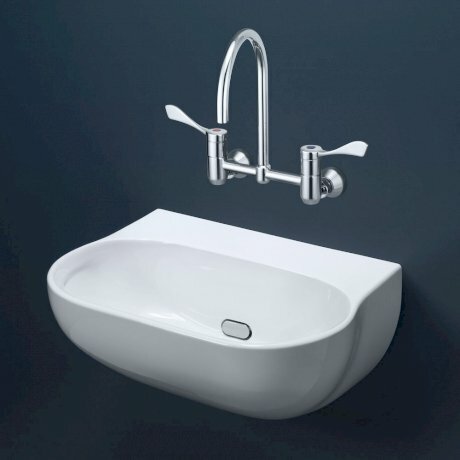 The Clinic 600 basin is an integral trap basin that conceals fittings and features an anti-splash rim. 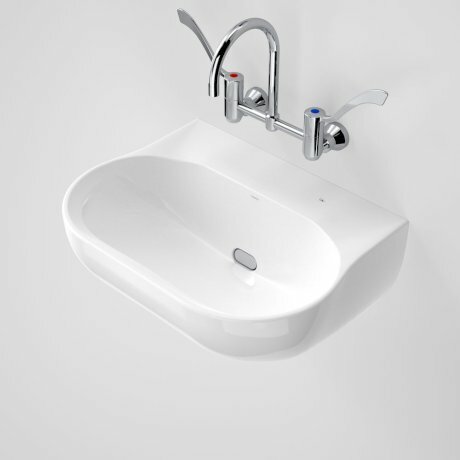 The basin is designed for infection control with easy to clean surfaces. 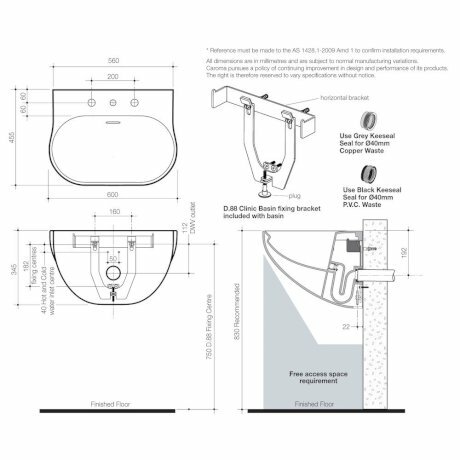 The basin also has a slight gradient on the tap landing to allow effective water run off and a vandal resistant grate. Ideal for wall mounted tapware. 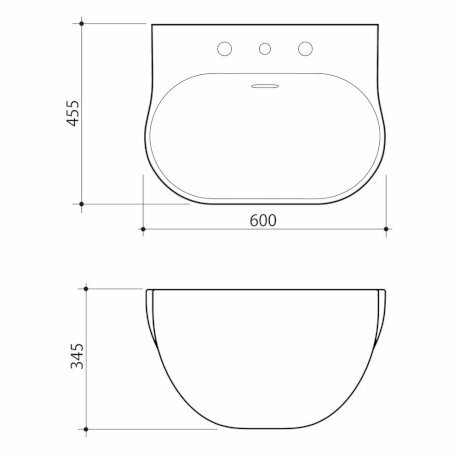 This basin is suitable for domestic, commercial and disabled applications. 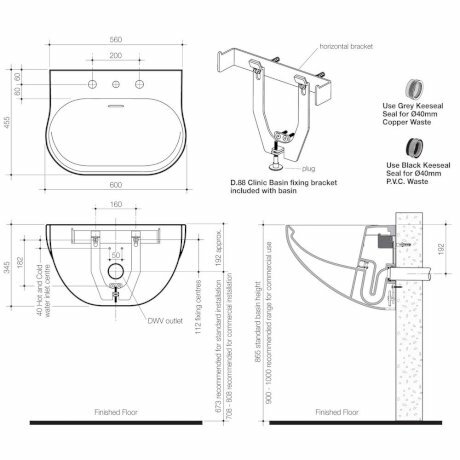 This basin can be installed to comply to AS1428.1-2009 Amd.1 Access and Mobility requirements.